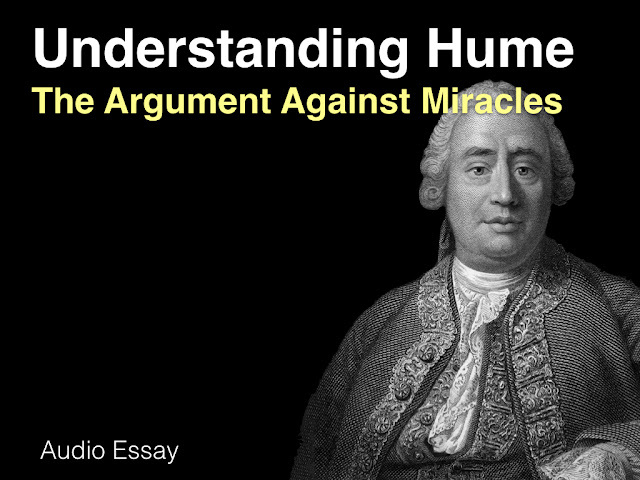 This post is the third of a brief series on David Benatar's anti-natalist argument. Anti-natalism is the view that, in all cases, bringing a sentient being into existence is morally wrong. I'm using this article by Elizabeth Harman as the basis for my comments. In part one, I introduced the two arguments Benatar uses to defend this conclusion. In part two, I considered Benatar's defence of the first argument along with Harman's criticisms of it. In this part, I'll briefly look at Benatar's second argument and then address the further implications of his two arguments. Obviously, this kind of claim is quite difficult to verify. Working from Harman's description, Benatar appears to defend it by appealing to one basic idea: we human beings are prone to systematic biases that prevent us from seeing how bad our lives are. These biases come in several different flavours. Two are worth mentioning here. The first is that of adjustment: even if our lives change for the worse -- for example, if we suffer from some debilitating disease or such like -- we have a tendency to adjust our expectations and experiences to fit with these new facts. As a result, we fail to fully appreciate how bad the changes really are. The second is that of relativism: when assessing whether own lives are good or bad we do so by comparison with the lives of others (i.e. the standard of goodness is a relative one). This leads us to ignore the things that make all human lives bad. For example, Benatar suggests that many of the ordinary aspects of human existence - being hungry, being thirsty, being tired - are bad, but we fail to appreciate this due to relativism (also due to the mistake of thinking that alleviating those states makes them good, when it does not). Harman is unimpressed by these arguments. She doesn't see why the ordinary experiences that Benatar alludes to are actually bad. And she also thinks that, following Mill, there might be many higher order good experiences that trump or wash out the bad experiences that Benatar focuses on. That said, she acknowledges that there might be higher order bad experiences too. I have some other thoughts. First, I think Benatar assumes there is some stance-independent measure of value that trumps subjective measures. I'd be more inclined to think that a person's subjective measure of their own well-being counts for something. [Edit: Nick makes this point in a comment to the first part of this series]. This would suggest that the adjustment bias is not that significant (in fact, it might work in the opposite direction to that proposed by Benatar). Second, my own feeling is that you'll probably never be able to prove this premise satisfactorily. Collecting empirical data on this kind of thing is messy and complicated. No matter how many lives you show to be actually awful, there is always the possibility (and maybe more than that) of some lives being quite good. This would then imply that not all instances of procreation are morally wrong. What's more, even if life is currently awful and so procreation is currently morally wrong, if certain transhumanist dreams play out, many of the bad features of life could disappear. This would make procreation permissible once more. If Benatar's arguments are successful, they are taken to imply that procreation is morally wrong. It would then seem to follow that preventing sentient beings from coming into existence is morally right (perhaps even obligatory). Might anything more be implied? Might it be the case that ending sentient lives (our own or those of others) is morally right (perhaps even obligatory)? Harman only talks about the suicide case in her article. She points out that Benatar does not think it follows from his arguments that suicide is morally right. He does so on the grounds that although life might not be worth beginning, it does not follow that life is not worth continuing. And so it does not follow that we should all commit suicide. I'd really have to see what kind of an argument Benatar offers in defence of this assertion, but for the time being I agree with Harman that this is insupportable. Benatar's second argument claims that life is overall very bad and not worth living. For him to turn around and say that life might be worth continuing seems like a flat-out contradiction. In any event, I'm not too concerned about the suicide issue since I think that's permissible for other reasons. What I am concerned about is killing other people. From what I read in Harman, it seems that if Benatar's argument is successful, killing another person (or "bringing about their non-existence") is, at a minimum, morally permissible (probably supererogatory) and possibly even obligatory. (11) It is wrong to perform an action that harms a person; it is not wrong to perform an action that benefits a person. (12) A person's non-existence is not harmful to that person. Indeed, it may even benefit that person. (13) A person's non-existence can be brought about by a method that does not harm them (i.e. causes no pain or discomfort). (14) Therefore, it is morally permissible (maybe supererogatory) to bring about a person's non-existence using non-harmful methods. What can be said in favour of this argument? Well, (11) strikes me as being a fairly innocuous moral principle. (12) would appear to follow from (or at least be compatible with) the asymmetry thesis Benatar uses to support his first argument. (13) tries to head off the criticisms of those who might argue that the act of bringing about someone's non-existence is harmful. (14) seems to follow straightforwardly enough. The only possible objection I can think of would come from a rights-based ethic. A proponent of such an ethic could argue that bringing about a person's non-existence is harmful (even if painless) because it violates their right to autonomy. There are maybe two counter-responses. First, this obviously wouldn't apply if the defender of Benatar's arguments was a consequentialist. Second, this might be a case involving a conflict of rights (right to autonomy vs. right not to suffer) in which the latter wins out over the former. It wouldn't take much to change this argument defending the permissibility of killing into one that defends that obligatoriness of killing. All you'd need to do is to change the principle to one stating we are obliged to prevent great harm to a person. And since existence is, apparently, a great harm, it would follow that we are obliged to end a person's existence. Now, suffice to say, I don't find myself being swayed by any of this. The wrongness of killing strikes me as being one of the most prima facie secure moral judgments. And I'm much more certain of it than I would be of Benatar's controversial premises (i.e. 2 and 6). I just can't see why it is incompatible with what Benatar says elsewhere. This raises another interesting question. One that relates to the obligations of the philosopher. I must confess that, for the first time ever in my blogging history, I had some qualms about publishing this post. Why so? Even though I am not personally arguing for the permissibility of killing, and even though I approach this as just another interesting set of arguments to evaluate, I do worry that someone who does embrace what Benatar says might take my arguments seriously. And although I don't think I'd be responsible for what they did on foot of this, it would leave a rather sour taste in my mouth if they did something I consider to be morally wrong. Your 'Part One' link is bad. In my judgment, no harm that anyone might do "on the basis of" your measured, temperate, and thoughtful discussions of Benatar could possibly be your responsibility, even in part. Thanks for your posts. Benatar's arguments deserve the scrutiny. Thanks Steve. You're right of course. I think that what I said was the product of the mood I happened to be in when I wrote it. I had been reading several anti-natalist websites as part of my research which I found slightly discomfiting. On sober reflection, my concern was perhaps a little extreme.